Aromatherapy and the cosmetic use of essential oils are a boon to natural skin care. When you’re using essential oils safely, every type of skin (normal, oily, dry, combination, sensitive, blemished, and aging/mature) can benefit. Inhibiting infection (bacterial, fungal, viral). Nearly all essential oils are good antiseptics. You can read more about how to match your skin type to the vast array of essential oils effective for skin care in my recently updated book, “Natural Skin Care“. The key to using essential oils safely is to realize that while essential oils are natural, you can’t use them indiscriminately. You can have adverse skin reactions to essential oils! Don’t be fooled — when you have a skin adverse reaction to an essential oil, it is NOT due to detoxing. The skin can react by burning, developing redness, developing swelling, and/or itching. If you have had skin allergies before or chemical sensitivities you may be more prone to a reaction and should exercise extra caution. Irritation: Can be quickly resolved by diluting and cleaning off. The more diluted, the lower the risk for irritation. Allergic reactions: a) An immediately allergic to the substance. b) Developing an allergy to the substance over time—this is usually called sensitization. Because essential oils are concentrated, active, plant extracts, care and responsibility must be taken with their use. The following are standard, recommended guidelines for safe use of essential oils. 2. Essential oils, because they are concentrated, should be diluted in a carrier before they are applied to the skin. The most common carriers are plant oils (such as olive oil and fractionated coconut oil) and fragrance-free moisturizing lotions. 3. If your skin becomes irritated from an essential oil, gently wipe the area with a carrier oil. Then wash well with soap and water, rinse well, pat dry, and discontinue use. 4. Pay attention to how your skin reacts. Stronger dilutions of essential oils can dry and irritate skin. If this occurs, make a weaker dilution. 5. Keep essential oils away from and out of the eyes. 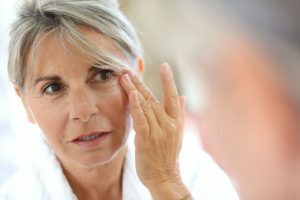 If an oil gets in your eye, first put a drop of carrier oil, such as jojoba or olive oil, in your eye to collect the essential oil, then flush well and thoroughly with warm water. If no carrier oil is available, try whole milk, and then flush. 6. Keep essential oils tightly closed and away from children. 7. Essential oils are flammable. Avoid using them near an open flame. 8. 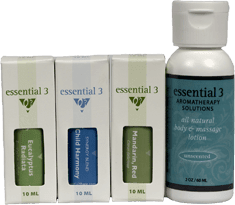 Certain essential oils (many citrus) can cause photosensitivity— discoloration and/or irritation of the skin when exposed to direct sunlight for a length of time. These essential oils should not be used and left on the skin if you are going to be in the sun. 9. If you are prone to allergies, test the essential oil you intend to use by putting a drop on your skin (inner elbow) and covering it with a strip bandage. Leave it in place for twelve hours. Take the bandage off and assess your skin. If there is no reaction, you are probably not allergic to it. If there is swelling or irritation, avoid using that essential oil. 10. If you are pregnant or nursing, there are special considerations for using essential oils. Refer to an aromatherapy book that discusses this and consult with your physician before using them. 11. If you have any serious health issues, exercise care. Heart problems, epilepsy, or asthma require special considerations when using essential oils. Consult with your physician before using them. 13. If you are taking a homeopathic remedy, essential oils may negate their effect. Those that should be avoided are Eucalyptus, Peppermint, and Rosemary. 14. If you want to use essential oils for children, refer to a resource that specializes in it, such as Aromatherapy for the Healthy Child by Valerie Ann Worwood. The guidelines for children are different than for adults. Educate yourself on using essential oils safely for skin care, and you will reap the benefits and avoid any undesirable side effects. 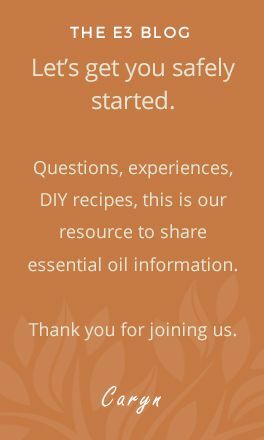 Caryn and her team of clinical aromatherapists are a fantastic resource if you have specific questions about using essential oil safely so reach out to them with any questions.